Over the past ten years, technology has come on leaps and bounds, with a wealth of gadgets helping to transform the traditional British home into a smart one. When the initial wave of smart home gadgets launched, their capability was limited, with many critics claiming that they were just gimmicks, with no staying power. Fast forward to 2018 and smart gadgets are now commonplace in our homes, with millions of us now embracing this new technology, designed to make our busy lives easier. New research from YouGov has found that nearly a quarter of Britons now own at least one smart home device. Smart speakers top the list, with 11% of us owning a voice-controlled assistant, like Amazon Alexa and the Google Assistant. Turn back the clock five years and artificial intelligence would have sounded scary, but nearly 4 million smart speakers had been sold in the UK by the end of last year and the Amazon Alexa app topped the download charts on Christmas Day. 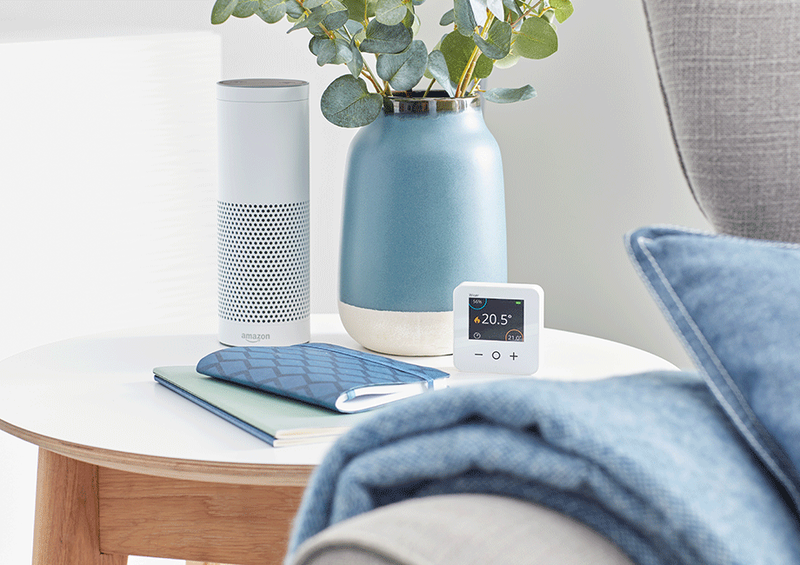 With the ability to play music on demand, turn your heating on and off, and even remind you about your Monday morning dentist appointment, they are quickly integrating themselves to become part of the family. 6% of Britons also now own a smart thermostat like Wiser, which equates to an impressive 1.7million households. Controlling your heating from your phone and setting different temperatures in different rooms with smart multi-zone systems is making life easier and more comfortable, whilst saving energy and money too. We’re adopting other smart devices as well, from lighting and security systems through to scales and health tracking devices, washing machines and even smart vacuum cleaners. And as smart homes become even smarter, more devices are able to connect and talk to one another, using IFTTT (If This, Then That). Join the 14,000,000 registered IFTTT users who integrate their smart home devices and you’ll be able to set your heating to turn off when the last family member leaves the house or your porch light to turn on, when your phone says your pizza is being delivered. Be part of the smart home revolution with the Wiser heating system and smart plug, and you’ll soon wonder how you ever lived without them! Find out where you can purchase Wiser here!